The University of Dubuque men’s soccer team shared the Iowa Conference title in 2010 and have been a perennial favorite in league play. The Spartans have celebrated over 100 total victories and have lost only a handfull of games in the American Rivers Conference. The Spartans will push the ball up the field, attack quickly, and be the aggressor when they compete. Expect the Spartans to battle every time for the 50-50 balls while keeping the ball on their opponents half throughout the matches. The play offers many chances to compete, UD players have been named All-Iowa Conference over 30 times, NSCAA All-North Region six times, All-American twice, Academic All-Iowa Conference nearly 30 times, and Academic All-Region five times. UD’s Cameron Scott, Dominik Chece and Joshua Merkel were named Honorable Mention All-Conference for the 2018 season as announced by the American Rivers Conference on Wednesday. The University of Dubuque men’s soccer team closed out the 2018 season with a road loss at #23 Luther, 1-0. This ends a run of 11 straight years of qualifing for the conference tournament for the men's program. If you're interested in playing men's soccer at the University of Dubuque, complete the prospect form, and a coach will be in touch. 00 Brandon White Goalkeeper 6-0 230 Sophomore Minooka, Ill.
5 Dominik Chece Midfield 5-11 164 Sophomore Woodstock, Ill.
9 Jake Persenico Forward 5-11 158 Freshman South Elgin, Ill.
10 Chris Rigby Midfield 5-11 165 Junior Algonquin, Ill.
12 Jacob Kryscio Defender 6-0 160 Freshman Delafield, Wis.
18 Joshua Merkel Defender 5-8 150 Sophomore Streamwood, Ill.
20 Gloire Luwara Forward 5-9 170 Freshman Rock Island, Ill.
21 Ivan Sanchez Defender 6-2 175 Senior Carpentersville, Ill.
22 Roody Joinvil Midfield 5-6 134 Freshman Edina, Minn.
23 Alessandro Corazzina Midfield 6-1 162 Freshman Park Ridge, Ill.
24 James Flowers Defender 6-2 170 Freshman Chicago, Ill.
25 Kevin Noonan Defender 5-8 151 Sophomore Wheaton, Ill.
30 Justin Joway Forward 5-8 153 Senior Rock Island, Ill.
31 Brent Bluemmert Forward 5-9 153 Senior Burke, Va.
35 Unla Husseini Midfield 5-8 155 Freshman Wheaton, Ill.
38 Christian Gonzalez Midfield 5-5 118 Freshman Gilbert, Ariz.
42 Gerado Gerado Goalie 5-9 164 Freshman Mesa, Ariz.
43 Brian Jome Goalie 6-0 170 Freshman Bloomington, Ill.
Soccer: First Team All European (2X), First Team All Region (2X), European Champion (2X) and Captain. 2015 (Freshman): Appeared in seven games and attempted two shots, both on goal. 2015 (Freshman): Appeared in eight games. Brad Johnson joined the University of Dubuque Spartans in 2004 as the Men's and Women's Assistant Soccer Coach. After helping guide both programs to new heights, he was named the Associate Head Men's Soccer Coach in 2008. Following a successful 2008 season, Johnson was promoted to the position of Head Men's Soccer Coach. Coach Johnson led the Spartans to a runner-up IIAC finish in 2015 and UD's first-ever appearance in the IIAC tournament title game. Johnson coached Gonzalo Hernandez-Cascante, who earned the Spartans only offensive MVP in school history, after leading the league in goals, assists, points, and game-winners. Since taking over the head coaching position, Johnson has coached one IIAC offensive MVP, 32 All-Iowa Conference athletes (13-First Team/19-Second Team), 6 All-Region performers, and 28 Academic All-Conference student-athletes. A team-best six Spartans were named to the All-Iowa Conference list in the 2015, 2010 and 2009 seasons. The 2010 team went 7-1 in Iowa Conference play to claim a share of the regular season title. The Spartans have qualified for the IIAC Tournament all seven seasons under Johnson. The Spartans have finished in the Top-3 in the Iowa Conference in five of Johnson's seven seasons at the helm. Johnson currently holds a United States Soccer Federation (USSF) -B- License, NSCAA Goalkeeping License, and NSCAA Special Topic License. He is actively involved in the Dubuque Soccer Club and is currently the U-13 to U-18 Director of Coaching. As well, Johnson was previously the Head Boy's Soccer Coach at Hempstead High School in Dubuque. He attended Loras College for four years, where he was a three-time captain, four-year All-Iowa Conference honoree, an All-Region selection, and garnered Iowa Conference MVP honors. He holds the records at Loras College for most points and goals scored in a career. Johnson received a master's degree in Business Administration from the University of Dubuque and his Bachelor Degree in Finance from Loras College. He and his wife Jenny reside in Dubuque. Viktor Bergstrand joined the University of Dubuque Spartans in 2010 as the Assistant Soccer Coach. Bergstrand was later elevated to Associate Head Men’s Soccer Coach and Assistant Women’s Soccer Coach. The women have compiled a 73-40-8, 27-14-3 Iowa Conference record that includes one regular season Iowa Conference title, one Iowa Conference Tournament Championships in 2014, and an Iowa Conference Tournament qualifier every year. After a 10-7-2 finish in 2015, the senior class went out as the winningest class in school history with 53 wins from 2012-15. The men have posted a record of 63-37-8, 29-14-1 Iowa Conference in his tenure, including an Iowa Conference regular season championship in 2010 and an Iowa Conference Tournament qualifier every year. In 2015, the Spartans reached their first-ever IIAC title game after 5-2 finish in IIAC play. A former goalkeeper himself, Bergstrand coached two-time, Second Team All-Iowa Conference selection and holder of seven school records, women's goalkeeper Tiffany Duncan from 2011-2014. In 2014, Duncan tallied 99 saves and a 0.81 goals against average for one of the best defensive teams in the country. The senior anchored a defense that captured the 2014 Iowa Conference regular season and tournament titles in qualifying for the 2014 NCAA Tournament for the second time in school history. In 2014, men's junior goalkeeper, Riley Jensen, led the Iowa Conference in saves and became the first UD goalkeeper named to the First-Team All-Iowa Conference team. Jensen was also named Second Team All-Iowa Conference in 2015 and became the only UD goalkeeper in school history to be named All-IIAC twice. Prior to UD, Bergstrand served as a 4-year starting Goalkeeper at Embry-Riddle Aeronautical University (ERAU). Bergstrand helped the Eagles to three NAIA National Tournaments in four years, three regular season conference titles, and two conference tournament titles. Bergstrand was also a part of the team that was ranked #1 in the nation in 2006. During his four years at Embry-Riddle he collected numerous awards including All-American, All Region, All-Conference, and ESPN Magazine Awards. Bergstrand, a native of Malmo, Sweden represented the Swedish U-15, U-16, and U-17 National Team. Bergstrand currently holds coaching licenses from both the USSF and NSCAA. 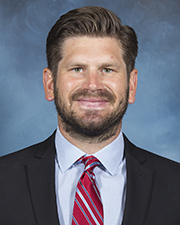 Bergstrand is currently active in the Dubuque Soccer Club serving as the Director of Goalkeeping and as the Head Coach for the U11 and U12 DSC Boys team. 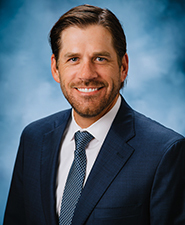 Bergstrand received his undergraduate degree in Aviation Business Administration at ERAU, and his Master’s degree in Business Administration from the University of Dubuque. Tom Murphy joined the University of Dubuque in 2018 as a Graduate Assistant Soccer Coach. Murphy played under Coach Johnson and Coach Bergstrand during the 2015 and 2016 seasons helping the Spartans reach their first ever NCAA National Tournament appearance. Murphy captained the Spartans in 2016 and helped the program reach new heights. Prior to UD, Murphy attended Feather River College, where he played 2 years of soccer for the Golden Eagles. Murphy received his Associates Degree in Behavioral Science before transferring to UD in 2015. 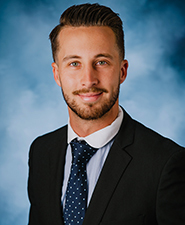 In 2016, Murphy received his Bachelor’s Degree in Business Administration with high honors before moving to Los Angeles to work in management for Beacon Roofing Supply. Murphy, a native of Leicester, England represented Nottingham Forest Football Club U15’s. Murphy currently holds a level 1 coaching license from the English Football Association. Murphy spent 18 years of his life growing up in England until he came to the U.S. in 2013 to start his college career as a student-athlete. Murphy is currently active in the Dubuque Soccer Club serving as the U11’s and High School Boys coach. Murphy is currently pursuing his MBA at the University of Dubuque. The 2018 men’s soccer season ended with a 4-12 overall record and a 2-8 record in the American Rivers Conference, finishing seventh and missing the conference tournament by one game. Cameron Scott wrapped up his UD career by earning honorable mention all-conference honors after starting 14 of the 15 games that he played in his senior campaign, recording one goal on 11 shots. Of his 11 shots, four went on goal for a shot on goal percentage of .364. The Spartans were a young squad in 2018, as they graduate just four seniors but the future should be in good hands as two underclassmen also earned honorable mention honors. Dominik Chece earned honorable mention honors after leading the Spartans in goals with four on 34 shots. Chece started 12 of the 15 games that he played in, going one for one on penalty kicks and recording one game winning goal for UD. He was also 10th in the A-R-C with an average of 2.27 shots per game. The University of Dubuque men’s soccer went 8-6-3 (4-2-2 IIAC) in 2017, finishing fifth in the IIAC and qualified for the Iowa Conference Tournament for the 10th straight year. The Spartans got off to a quick start in 2017, winning four of their first five games, all against non-conference opponents and finished the non-conference slate 4-3-1. UD started Iowa Conference play with a thrilling 3-2 win at crosstown rival, Loras College, after Kyle Klatka scored with 1:24 remaining in the game to give the Spartans their second straight win over Loras. The season closed in the first round of the Iowa Conference Tournament when they traveled to Lincoln, Nebraska to take on Nebraska Wesleyan, where they fell 2-0. Senior Kyle Klatka and sophomore Chris Rigby were both named All-Iowa Conference. Klatka was second on the team with four goals on 15 shots, with two of those goals being game winners. Chris Rigby recorded nine points in 2017 with three goals and three assists. Rigby fired off a team high 72 shots. Noah Clarke led the Spartans in both points and goals with 11 points and five goals. Brandon White played in all 17 games in the net for the Spartans with 13 starts. White played 1353:20 minutes, surrendering 18 goals (1.2 per game) and stopping 63 shots and recording four shutouts. DUBUQUE, Iowa - Junior Gonzalo Hernandez-Cascante put together one of the best individual seasons in UD history to claim UD's first ever IIAC MVP and helped the University of Dubuque men's soccer team to a 12-6-1, 5-2 Iowa Conference record and the No. 2 seed in the IIAC tournament. After receiving a first round bye, the Spartans defeated Luther, 1-0, thanks to Felipe Sanchez's first goal of the season and advanced to play Loras in the first IIAC Tournament title game in school history. The Spartans put five of their six shots on goal, but were defeated by the eventual national runner-ups, 1-0, thanks to a 50th minute goal. Hernandez-Cascante (1st team All-Region) and defender Danny Daniels (3rd team All-Region), both NSCAA All-North Region honorees and IIAC First Team selections, and fellow IIAC honorees in goalkeeper Riley Jensen (2nd), midfielder Billy Belmonte (2nd), defender Jake Fahrenkrug, and forward Leo Lenth (2nd), the Spartans utilized a team effort to attain the highest NSCAA North Regional ranking (no. 7 on October 6) since the 2012 season. Hernandez-Cascante, the first Iowa Conference Offensive MVP in school history, led the IIAC in four-major categories over the course of the season: goals (13), assists (9), points (35), and game-winners (5) en route to All-Region. The speedy and lengthy Hernandez scored three of his game-winners in one-goal victories over Illinois Wesleyan, Hamline University, and Simpson. With one season remaining, the Madrid, Spain native is currently Top-5 in UD career history in assists, points, shots, and game-winners. The junior was twice named Iowa Conference Men’s Soccer Offensive Player of the Week and notched his first career hat trick in a 3-0 victory over Elmhurst on September 22. UD started off hot with a 7-4-1 record across the non-conference slate with a pair of narrow losses coming at NSCAA Central Region No. 3 Milwaukee School of Engineering, 2-1 in overtime, and a 3-1 defeat at Central Region No. 7 North Park. Highlight wins included 83rd minute game-winner by Hernandez in 3-2 win over Hamline and 90th minute header by Dani Morillo in 2-1 victory at UW-Platteville. A 3-0 start in IIAC play was fueled by wins over Simpson, Wartburg, and Central by a combined 9-2 margin. A rare, three-goal defeat at Luther was followed by a pair of wins that led to anticipated matchup with rival Loras in the season finale in a winner-take-all, IIAC regular season title match. Lenth scored in the 28th minute, but the Duhawks countered with a pair of goals in the ensuing 12 minutes as the Spartans fell, 2-1. No matter, the Spartans garnered 10+ wins for the first time since 2012 and earned 10+ wins for the seventh time in the last nine seasons. Despite falling a win short of their second IIAC regular season title, the Spartans snagged a top-3 IIAC finish for the fifth time in seven years. The Spartans will lose key seniors Belmonte, Jensen, and Fahrenkrug, to graduation, but aim to secure their hold as a member of the IIAC elite next season. Front Row: Ramon Gonzalez, Ben Troupe, Dani Morillo, Andres Torres, Kris Kirchhoff, Cho-Cho Sanchez, Andrew Guelle, Jon Hazelwonder, Chris Cleope, Leo Lenth, Jason Rice, and Jay-Lee Sykes. Middle Row: Associate Head Coach Viktor Bergstrand, Andrew Gruenwald, Athletic Trainer Erin Bierstedt, Omar El-Ramady, Austin Bratkiv, Gonzalo Hernandez, Danny Daniels, Chidubem Nkemeh, Jose Resendiz, Riley Jensen, Patryk Openchowski, Ryan Gingrich, Jake Hutzell, Brandon Wiley, Peter Hager, Adam Abubakar, Jacob Alstadt, Nick Wissing, and Head Coach Brad Johnson. Back Row: Assistant Coach Sam McKee, Sean Chapman, Aziz Tahir, Kyle Klatka, Billy Belmonte, Will Hirsch, Jack Stefanski, Austin Scaccia, Griffen Perez, Chris Hancock, Cristian Michelowski, Jake Fahrenkrug, Alassane Doukoure, Kahlin Gonzalez, Patrick Regal, and Jordan Rand. The Spartans clinched their eighth straight Iowa Intercollegiate Athletic Conference (IIAC) berth after finishing the season with a record of 7-9-3, 4-2-1 IIAC. Coach Johnson secured his 65th career win after the Spartans earned the four seed in the IIAC tournament. All-IIAC honorees, sophomore forward Gonzalo Hernandez and senior midfielder Brandon Wiley, each assisted on the other’s goal as the Spartans won, 3-1, in the first round of the IIAC tournament. Fellow All-Conference selection, junior goalkeeper Riley Jensen, stole the show with a season-high 12 saves after facing 33 shots, 17 on goal, and 15 corner kicks during 2-1 overtime loss in the IIAC semifinals. After surviving one of the most challenging non-conference schedules the Spartans were poised for IIAC success. The Spartans non-conference slate featured two ties and four one-goal losses. UD claimed its first victory on the newly turfed Oyen Field after a 4-0 rout on September 24. The Spartans utilized their challenging non-conference start with an IIAC mark of 4-1-1, improving IIAC record to 31-13-1 (.689) since 2009. Both the IIAC loss and tie came against a pair of top-15 nationally ranked teams. In their final IIAC regular season game with a possible two seed and first round bye on the line, Hernandez netted two goals and one assist, in 4-3 overtime loss. It was a shootout after UD grabbed an early 2-0 lead that was quickly erased after three unanswered goals. Hernandez tied it up in the 83rd, but the Spartans fell after a 105th minute goal in overtime. "Throughout the 2014 season, the members of our University of Dubuque Men’s Soccer Program showed tremendous determination and perseverance," said Head Coach Brad Johnson. "After a number of close matches throughout non-conference play, the Spartans really started to click at the right time leading to a 4-2-1 mark in conference play. They proved to be a contender in the always tough Iowa Conference and nearly made the IIAC Tournament Championship after tough semifinal loss." The Spartans' fate could've gone either way after finishing with a record of 2-3-1 in their final six games that included four overtime bouts. Wiley finished his four year career ranked fifth in UD history in career shots (62) and fifth in career assists (14). Wiley also holds the UD record for multi-assist games (3) in a season. The Mannheim, Germany native earned his first IIAC honor after being selected to the second team. Senior defender Will Hirsch also finished his career with an IIAC second team honor, his first All-IIAC award. Hirsch anchored the back line in the past two seasons, starting 34 of 35 games. Hernandez climbed the UD charts after concluding the season ranked second in shots on goal in a season (34). The Madrid, Spain became the eighth Spartan named to the All-Iowa Conference first team. Hernandez garnered Honorable Mention All-IIAC accolades a year ago. "The Spartans featured an incredible lineup, as 31 members of the program saw action in a varsity match. Throughout the season, Spartan fans saw points recorded from 11 players on the roster while the team collected a number of accolades during the year," said Coach Johnson. "On behalf of UD Soccer, I would like to thank our seniors for their tremendous commitment and contributions to the program over the years. Go Spartans!" Front Row: Jason Rice, Andrew Guelle, Kahlin Schneider-Gonzalez, Felipe Sanchez, Will Hirsch, Billy Belmonte, Jose Resendiz, Jake O'Rourke, Riley Jensen, Cory Winkler, Joey Broms, Jon Hazelwonder, Brayden Prothero, Abraham Gonzalez, and Jordan Rand. Back Row: Asst. Coach Colin Brice, Asst. Coach Viktor Bergstrand, Chris Cleope, Alexander Wolpa, Liam Clancy, Daniel Morris, Miguel LaFarrera, Chris Maginn, Alassane Doukoure, Sean Chapman, Zachary Matuszak, Ryan Gingrich, Omar El-Ramady, Gonzalo Hernandez, Peter Hager, Brandon Wiley, Jacob Alstadt, Jack Stefanski, Chris Hancock, Cole Hamilton, Lionel Salazar, David Osunbumni, Ramon Gonzalez, Head Coach Brad Johnson, and Athletic Trainer Christine Roering. The Spartans clinched their seventh straight Iowa Intercollegiate Athletic Conference (IIAC) berth after finishing the season with a record of 6-11-1, 3-4 IIAC. Coach Johnson secured his 58th career win after the Spartans snagged the fifth seed in the IIAC tournament. The Spartans sustained a 2-1 loss in the first round of the IIAC tournament after facing a 2-0 deficit thanks to two converted penalty kicks. Alassane Doukoure scored UD’s lone goal in the 85th minute as the Spartans upset bid over Simpson, the four seed, fell short. A slow start out of the gate (1-7-1) that included a pair of overtime losses didn’t deter the Spartans from going on a roll as the season reached its conclusion. The Spartans won five of seven matches starting with the second game of the IIAC season. Simpson ended their run in the final game of the IIAC regular season. Corey Winkler was the offensive catalyst after leading the team with seven goals and one assist off 32 shots, including 17 on goal. The senior netted three game-winners including his golden goal dagger just 46 seconds into overtime in 3-2 victory over Central on October 2. The All-IIAC Second Team selection almost single-handedly took down Buena Vista after a hat trick (three goals) downed the Beavers, 4-0, on October 26. Winkler finished Top-5 in UD history in numerous categories including: Game Winners (3rd, 10), Penalty Kicks Made (3rd, 3), Shots Attempted (4th, 169), and Shots on Goal (4th, 75), Goals (5th, 27), and Points (5th, 63). Budding freshman Gonzalo Hernandez paced the Spartans with 51 shots and placed 19 of those on goal. The Honorable Mention All-IIAC honoree notched two game winners in back-to-back games against Grinnell in 1-0 overtime win on October 9 and at Coe in 2-1 triumph on October 12. The Spartans return eight of their starters who started 11+ games and bring back 12 of their 22 season goals. Front Row: Alex Cordero, Hunter Brown, Joey Broms, Abraham Gonzalez, Tyler Lewis, Jesse Hanes, Cory Winkler, Jon Hazelwonder, Brayden Prothero, Tyler Garcia, and Derek Garcia. Middle Row: Cameron Woulf, Alexander Wolpa, Will Moore, Lionel Salazar, Luis Arinaga, Jose Rezendiz, Chidubem Nhekem, Daren Mongold, Billy Belmonte, and Diego Carrasco. Back Row: Asst. Coach Viktor Bergstrand, Erin Bierstedt, Daniel Morris, Sean Chapman, Zachary Matuszak, Jack Stefanski, Ryan Gingrich, Peter Hager, Adam Lorenz, Jake O'Rourke, Riley Jensen, Brandon Wiley, Reynaldo Marshall, Tyler Cuchna, Sam McKee, Nick McDonald, Ryan Zurbuchen, Jason Rice, Head Coach Brad Johnson, and Asst. Coach Colin Brice. The 2012 University of Dubuque Men's Soccer team finished the season with an overall record of 11-6-1 and second place in the Iowa Conference at 5-2-0. The Spartans lost in double overtime in the semifinals of the IIAC Tournament. Seniors Nick McDonald (Forward) and Sam McKee (Midfield) were named First Team All-Iowa Conference. Junior Cory Winkler (Midfield) and sophomore Peter Hager (Defense) were Second Team All-IIAC selections. McDonald capped an outstanding career by being named Third Team D3soccer.com All-American and First Team NSCAA All-North Region. McDonald set a new school record for Career Goals (49). The Spartans picked up their 100th victory in the programs history with a 4-0 win over Grinnell. The Spartans spent the final eight weeks of the season ranked in the NSCAA North Region Poll, peaking at #4. UD was ranked in all three NCAA West Region Rankings. Hunter Brown, Abraham Gonzalez, Peter Hager, Jake O'Rourke, Lionel Salazar, and Alexander Wolpa all earned Academic All-Iowa Conference. Peter Hager was selected First Team Capital One/CoSIDA Academic All-District. The Spartans earned the NSCAA Academic Team Award for the third straight year. Front Row: Alexander Wolpa, Joey Rollin, Dylan Michel, Hunter Brown, Jack Stefanski, Cory Winkler, Pablo Martinez, Glenn Verley, Philip Ianno, Abraham Gonzalez, Callen Stone, and Diego Carrasco. Middle Row: Erin Bierstedt, Asst. Coach Jason Carlson, Andrew Triantos, A.J. Seaman, Nick McDonald, Ryan Gingrich, Jacob Hurd, Adam Lorenz, Nicholas Kasper, Jake O'Rourke, Brandon Wiley, Peter Hager, Tyler Cuchna, Sam McKee, Tyler Garcia, Head Coach Brad Johnson, and Asst. Coach Viktor Bergstrand. Back Row: Jesse Hanes, Zachary Matuszak, Derek Garcia, William Taylor, Reynaldo Marshall, Lionel Salazar, Spencer Weber, Sean Chapman, Tola Prak, and Jacob Camacho. The 2011 Men’s Soccer team finished the season with an overall record of 12-5-2 and third place in the Iowa Conference at 5-3-0. The Spartans lost on Penalty Kicks in the opening round of the IIAC Tournament. Junior Nick McDonald (Forward) and sophomore Cory Winkler (Midfielder) were 1st Team All-Iowa Conference selections. Senior Pablo Martinez (Forward) and freshman Peter Hager (Defense) each made 2nd Team All-IIAC. Senior Nick Kasper (Goalkeeper) and junior Sam McKee (Midfielder) were recognized as Honorable Mention selections. McDonald was also named 2nd Team NSCAA All-North Region for the second time. Abraham Gonzalez, Philip Ianno, Jake O'Rourke, and Lionel Salazar all earned Academic All-Iowa Conference. Nick Kasper was selected 2nd Team Capital One/CoSIDA Academic All-District. The Spartans earned the NSCAA Academic Team Award for the second consecutive year. Front Row: Dakota Pruitt, Anthony Marshall, Glenn Verley, Ryan Zurbuchen, Nick Meader, Jeff Hartke, Idrissa Soumaoro, Pablo Martinez, Brian Arbuckle, Phillip Ianno, Cory Winkler, Abraham Gonzalez, Sam McKee, and Ross Paxton. Middle Row: Asst. Coach Chris Talac, Asst. Coach Jason Carlson, Joshua Kim, Garrett Lass, Tommy Benedix, Matt Mechnig, Angel Alcantara, Jacob Hurd, Nick McDonald, Luis Soto Zepeda, Nicholas Kasper, Dominick Chalupka, Adrian Brambila, Colin Brice, Tyler Cuchna, Mike Sanders, Trevor Duplechian, Head Coach Brad Johnson, and Asst. Coach Viktor Bergstrand. Back Row: Matt Benoit, Ernesto Cruz, Zach Odom, Michael Pastore, Tim Glish, Andres Galicia, Emileo Arroyo, Markees Serrano, Austin Wilson, Andre Ganea, Bryan Mitchell, Lucas Steele, Allen Hermann, Jimmy Ramirez-Perez, Will Koller, Denis Razic, Richard Felice, Richard Sibonana, Lionel Salazar, and Paul Sheely. The 2010 Men's Soccer team finished the season with an overall record of 15-5-0 and finished tied for 1st place in the Iowa Conference at 7-1-0. The Spartans beat Coe 2-1 in the opening round of the IIAC Tournament before losing in the semifinals. Senior Idrissa Soumaoro (Forward), junior Ryan Zurbuchen (Midfielder), and sophomore Nick McDonald (Defense) were all selected 1st Team All-Iowa Conference. Senior Colin Brice (Defense), junior Pablo Martinez (Forward), and sophomore Sam McKee (Midfielder) were named 2nd Team All-IIAC. McDonald was selected 2nd Team NSCAA All-North Region while Soumaoro made the 3rd Team. The Spartans 15 wins set a new school record for wins in a season. Jeffrey Hartke, Jacob Hurd, and Nicholas Meader all earned Academic All-Iowa Conference. The Spartans earned the NSCAA Academic Team Award for the first time in the programs history. Front Row: Jake Geiger, Nick Meader, Denis Razic, Ellis Kelling, Colin Brice, Pablo Martinez, Dominick Chalupka, Ryan Zurbuchen, Idrissa Soumaoro, Jason Kinney, and Chris Talac. Middle Row: Head Coach Brad Johnson, Jake Hurd, Matt Mechnig, Ross Paxton, Justin Amerine, Matt Abraham, Luis Soto Zepeda, Chris Behrens, Anthony Marshall, Giordano Dasio, Nick McDonald, Adrian Brambila, Sam McKee, and Asst. Coach Jason Carlson. Back Row: Claudio Citta, Ricardo Anzoatequi, Kenny Oberlin, Paul Boecker, Benjamin Jun, Alec Herb, Mike Pastore, Ernesto Cruz, Dennis Razic, and Eric Flores. The 2009 Men’s Soccer team finished the season with an overall record of 14-4-2 and second place in the Iowa Conference at 7-1-0 under first year head coach Brad Johnson. The Spartans lost in the semifinals of the IIAC Tournament after a first round bye. Junior Idrissa Soumaoro (Forward) and sophomore Ryan Zurbuchen (Midfielder) were selected 1st Team All-IIAC. Sophomores Nick Kasper (Goalkeeper), and Pablo Martinez (Forward), along with freshman Jake Geiger (Midfielder) and Nick McDonald (Defense) were named to the 2nd Team. Ellison Kelling earned Academic All-Iowa Conference. Kelling and Nick Kasper were each selected 2nd Team ESPN The Magazine/CoSIDA Academic All-District. Front Row: Andrew Finlay, Claudio Citta, Ryan Zurbuchen, Pablo Martinez, Kyle Paulson, Aaron Gray, Cody Self, Chadwick Newquist, Colin Brice, Ellis Kelling, Austin Haskin, Jason Kinney, and Asst. Coach Jason Carlson. Middle Row: Daniel Hirsch, Joe Stevens, Kenneth Oberlin Jr., Alan Dowden, Tim Peters, Mike Pastore, Juan Alveraz, Nick Meader, Adrian Brambila, Idrissa Soumaoro, Nicholas Cookston, and Jacob Hurd. Back Row: Darryl Maddox, Ski Hill, Angel Alcantara, Anthony Marshall, Giodano Dasio, Tom Leber, Eric Flores, Nick Kasper, Brant Janssen, Christopher Barnas, Michael Robel, David Burdick, Justin Amerine, Christopher Talac, Head Coach Jason Berna, and Asst. Coach Brad Johnson. The 2008 Men’s Soccer team finished the season with an overall record of 10-9-0 and fourth place in the Iowa Conference at 4-4-0. The Spartans beat Simpson 3-2 in the opening round of the IIAC Tournament before losing in the semifinals. Senior Chadwick Newquist (Midfielder) was named 1st Team All-IIAC. Senior Chris Barnas (Defense) was selected to the 2nd Team. Ellison Kelling and Cody Self earned Academic All-Iowa Conference. Front Row: Jin Keyong Park, Blake Kremer, Claudio Giraldi, Sveldin Zulic, Chad Newquist, Jason Kinney, Nicholas Cookston, and Idrissa Soumaoro. Middle Row: Kyle Paulson, Andrew Lunt, Colin Brice, Ellis Kelling, Adrian Brambila, Aaron Gray, Chris Talac, and Elvedin Zulic. Back Row: Molly McDonald, Asst. Coach Brad Johnson, Justin Amerine, Michael Robel, Anthony Marshall, Brant Janssen, Joshua Jones, Chris Barnas, Tom Leber, Cody Self, Head Coach Jason Berna, and Asst. Coach Kelly Sweitzer. The 2007 Men’s Soccer team finished the season with an overall record of 10-8-1 and fifth place in the Iowa Conference at 3-5-0. The Spartans qualified for the IIAC Tournament for the first time but lost on Penalty Kicks in the opening round. Junior Nicholas Cookston (Forward) and freshman Idrissa Soumaoro (Midfielder) were selected 2nd Team All-Iowa Conference. Ellison Kelling earned Academic All-Iowa Conference. Front Row: ? ?, Christopher Monroy, David Strom, Ellis Kelling, Soren Nordenmeyer, Hussein Farzad, Jude Blocker, Kyle Uffmann, Chad Newquist, Jamal Banks, Stephen Goldsworthy, Jose Escoriza, and Sveldin Zulic. Back Row: Head Coach Jason Berna, Justin Amerine, Michael Robel, Daryl Maddox, Chris Winkler, Shpendim Ismaili, Alexander Moten, Tom Leber, Chris Barnas, William Johnson, Ben Jun, Elvedin Zulic, Aaron Gray, Nicholas Cookston, Christopher Talac, and Asst. Coach Brad Johnson. The 2006 Men’s Soccer team finished the season with an overall record of 9-8-2 and sixth place in the Iowa Conference at 2-5-1. Sophomore Nicholas Cookston (Forward) was selected 1st Team All-Iowa Conference. Senior William Johnson (Defense) was named 2nd Team All-IIAC. Jude Blocker earned Academic All-Iowa Conference. Front Row: Zachary Wirth, Andrew Mueller, Joey Kelly, Jude Blocker, Joshua Jones, Kevin Pollack, Sean Friel, Jose Escoriza, Chadwick Newquist, and Grant Bartow. Back Row: Head Coach Jason Berna, Michael Robel, James Craig, Jonathan Dreasler, Bradley Benhart, William Johnson, Aaron Gray, Shpedum Ismaili, Thomas Leber, Christopher Barnas, Eddy Fazaldin, Rashard Fleming, Stephen Mockus, Nicholas Cookston, and Asst. Coach Brad Johnson. The 2005 Men’s Soccer team finished the season with an overall record of 3-12-2 and eighth place in the Iowa Conference at 1-6-1. Freshman Nicholas Cookston (Forward) was selected 2nd Team All-Iowa Conference. Front Row: Jon Janulis, Eddy Fazaldin, Oriaco Augliera, Chris Hansen, Jon Diaz, Zachary Wirth, Matt Dolson, Matthew Zuckerman, and Joey Kelly. Middle Row: Rashard Fleming, Adam Schmerbach, Justin Frizzelle, William Johnson, Tyler Romie, Andy Mueller, Tyler Junker, and Justin Sauser. Back Row: Head Coach Jason Berna, David Sreenan, Billy Porter, Adam Backous, David DeBlock, Ryan Fritz, Joshua Jones, Matt Thompson, Ben Jun, and Jonathan Colyer. The 2004 Men’s Soccer team finished the season with an overall record of 5-12-1 and eighth place in the Iowa Conference at 1-6-1. Freshman Chris Hansen (Midfielder) was selected 2nd Team All-Iowa Conference. Adam Backous and Matthew Zuckerman earned Academic All-Iowa Conference.